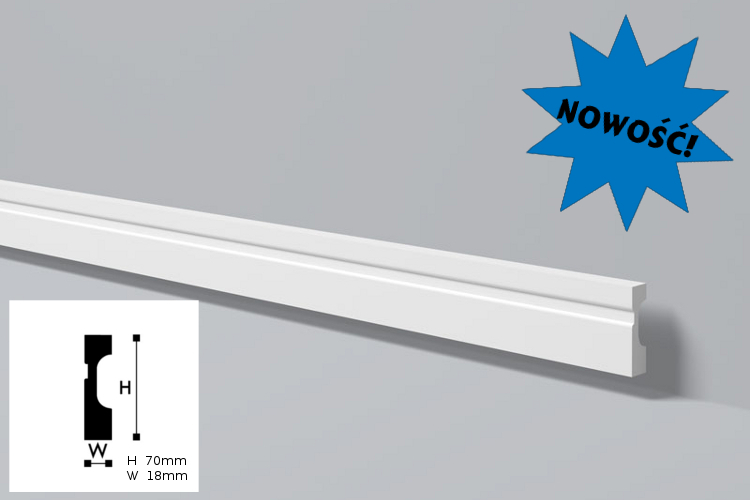 Minimum quantity for "FD7 baseboard 7 x 1,8 x 200 cm Wallstyl NMC" is 2. Baseboard FD7 is the perfect finishing element floors. 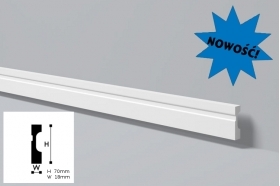 Protects the walls from damage and dirt and provides a shield for electrical installation. Stucco is pre-coated with a primer paint, after installation, we recommend painting baseboards with acrylic or dispersion paints to an exclusive finish of the product. Baseboards are resistant to moisture, washing or shock.